Being injured in Palm Beach Gardens due to a criminal act may mean that you are entitled to damages recovery. To investigate that possibility, call our Palm Beach Gardens crime victim compensation lawyers at the Wolfson Law Firm for help. We’ve helped injured victims since 1963 and we are here to help you as well. Call us at 855-982-2067 for your free consultation today. Palm Beach Gardens is a city in Florida’s Palm Beach County. It exists only for few decades, but over 50,000 people live there already, and the number is still growing. However, the initially planned number of 55,000 residents hasn’t been reached yet. It is located on the Atlantic coast, north of West Palm Beach and south of Jupiter. It is famous for its several gated communities. Keep in mind that these are just the most prevalent crimes that our Palm Beach injury lawyers are aware of. If you or your loved one has gotten injured in another form of criminal attack, don’t hesitate to reach out for legal advice to determine if you are entitled to compensation. As with any other city in Florida, getting injured in a Palm Beach Gardens crime will set you on potential road to damages recovery in three ways. The first one leads to the criminal offender. First and foremost, the law authorities need to catch him, prove that he’s guilty, and convict him. 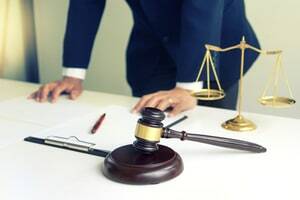 It can take a while, but once the trial reaches that point, your civil case will be straight forward to getting a judgment – except that criminals rarely pay. If you don’t want to wait that long while you have injury-related expenses, or the offender has no funds to pay you, there two other options. The easier one leads to the Florida Bureau of Victim Compensation. They don’t ask if anyone was convicted or not. As long as you can prove that you have sustained injuries due to a criminal accident in Florida and you can support that with documents, you’re set to get compensated for some of your economic losses. There is one more option that requires proving liability of a third party under premises liability laws. Banks, convenience stores, affordable housing complexes, malls, and stores who control certain premises are obliged to reasonably prevent foreseeable crimes there. When they breach this obligation, usually due to negligent security, that might lead to criminal attacks. If you have been injured due to such attack, the third party that allowed it may be liable to pay for your harms and losses. When injured due to a criminal incident or accident in Palm Beach Gardens, the wisest move to make is seek legal advice. It can make the difference between successful and unsuccessful recovery. That is why you should call our Palm Beach Garden crime victim lawyers at the Wolfson Law Firm. You can reach us at 305-285-1115 for your free consultation. You don’t pay fees unless we recover for you. Call today – don’t be a silent victim.